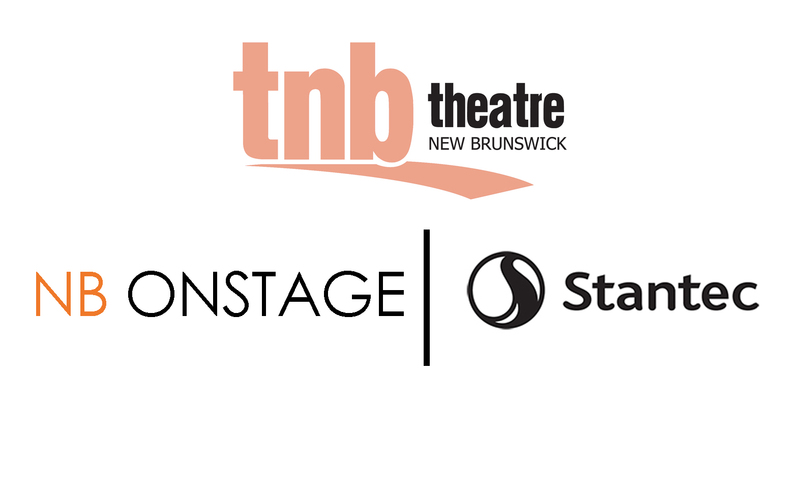 NB Onstage takes a deep dive into the plays and playwrights featured at the Open Space Theatre as part of our season programming. Our upcoming production of Kim Parkhill’s play Any Given Moment features Fredericton-based, Bathurst-born actor Wally MacKinnon. Wally has appeared on the Theatre New Brunswick stage several times over his impressive acting career and we’re excited to have him back with us for this play. Produced as a co-production with Ship’s Company Theatre (Parrsboro, Nova Scotia), MacKinnon and fellow Any Given Moment cast members Claudia Gutierrez-Perez and Alexis Milligan are nearing the end of a three week run in Nova Scotia and will starting touring the show to New Brunswick communities beginning September 4 in Sackville. In total, Any Given Moment will tour to seven New Brunswick communities including MacKinnon’s hometown of Bathurst. 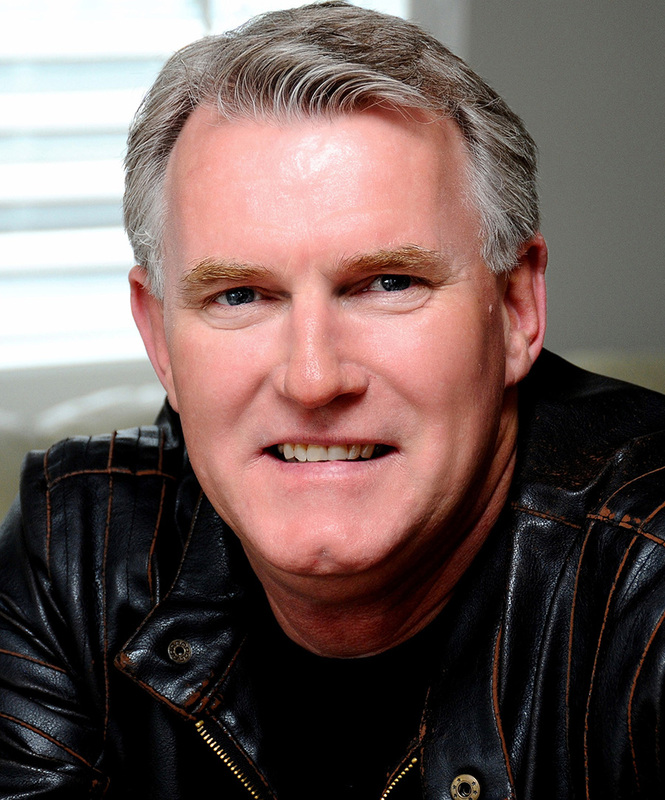 MacKinnon, who has worked across Canada in over 100 theatre and film productions, has previously appeared in six TNB productions: Ethan Claymore, The Hobbit, Dear Santa, Cricket on the Hearth, Skin Flick and The Dollar Woman. In this production, MacKinnon plays the part of Bill, a rural raised homeless man in his late sixties. Set during a police lockdown, the story focuses on the developing relationship between three complete strangers who find themselves stuck together as they contemplate the potential dangers of the outside world. 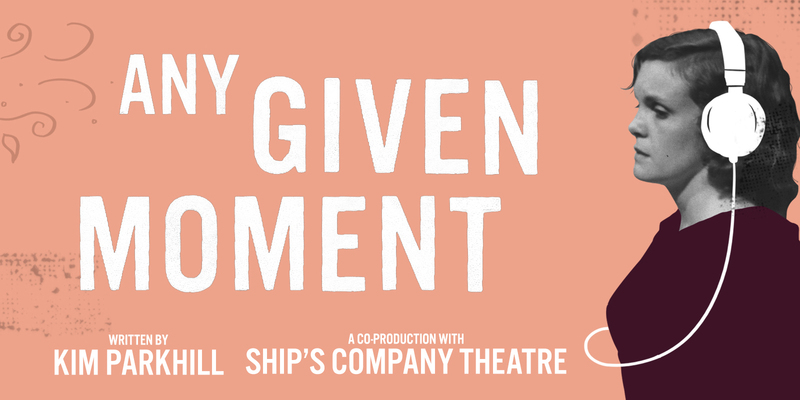 Our 50th anniversary season begins in September with a world premiere production of Kim Parkhill’s new play, Any Given Moment. Focusing on the lives of three individuals trying to make sense of the culture of fear that dominates their daily lives, perpetuated by the endless barrage of highly divisive news stories that seem to pit culture against culture and country against country in a hopeless competition of values and beliefs, these three actors will challenge audiences to question their own world views and the opinions they hold. Parkhill began working on the play more than three years ago following a request by former TNB Artistic Director Thomas Morgan Jones. 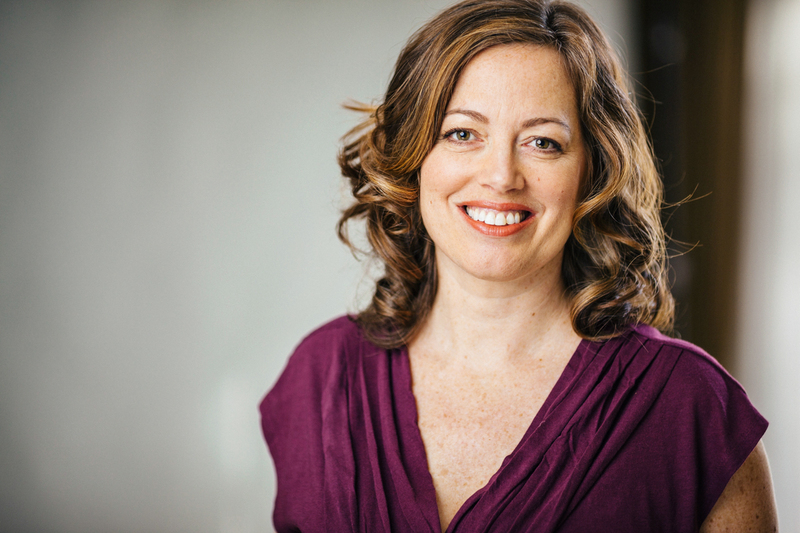 Any Given Moment is a three actor play directed by our new Artistic Director, Natasha MacLellan. The play features Fredericton actor Wally MacKinnon; Claudia Gutierrez-Perez, a recent graduate of the Fountain School of Performing Arts program at Dalhousie University; and Alexis Milligan, an actor, movement coach and director who has spent eight seasons with Two Planks and a Passion Theatre and has worked on several TV and film projects. Parkhill’s choice of setting, a church in an unnamed small Canadian city, came from a conversation she had with Jones about the many concerts that happen at Fredericton’s Wilmot United Church as part of the annual Shivering Songs festival. At this stage in the play’s development, Parkhill and Jones had not yet met in person, but had exchanged long phone/Skype conversations and several emails about the story and how/when it may appear in a TNB season. Based on these conversations, Parkhill constructed an outline and wrote a few of the character monologues before waiting to see if any financial support had been established to help create a first draft. By that point, she was so wrapped up in the characters she had created, Parkhill continued to work on the script without any real assurance on the play’s future. 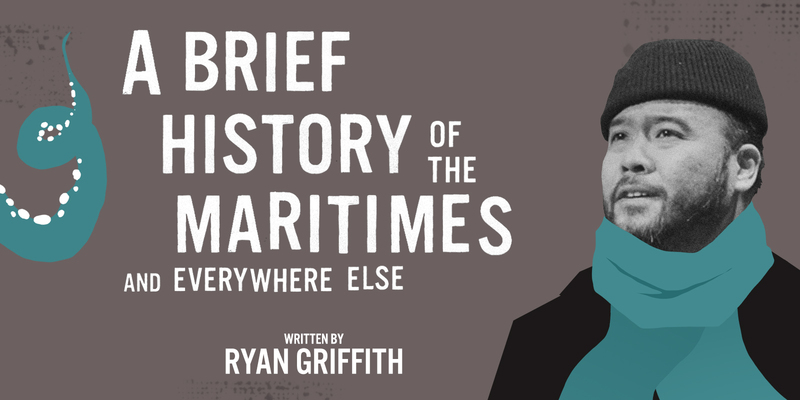 With encouragement and dramaturgy from Jones and others as well as support and insight from the play’s first director Natasha MacLellan, the story was developed to the point where it was ready for its first production. “Rewrites of the play were based on dramaturgical feedback from Thom, a public reading of the script at DaPoPo Theatre's Live-in Festival and a script development workshop with Ships' Company Theatre,” said Parkhill. “Then it went into the drawer for more than a year, awaiting a first production. “Fun fact: For years, the original title was, And Then Nothing Happened,” said Parkhill. “It also had a short-lived time as Alone, Together. The current title was finalized in collaboration with Natasha [MacLellan]. It’s now been a few years since Parkhill began working on this script. The play’s world premiere production opens August 8 in Parrsboro and will run until September 2. From there it will tour to several New Brunswick communities before settling into the Open Space Theatre for six final performances. “It's been several years since I started writing and of course I'm also in a slightly different place and the cultural milieu has shifted, but I still fear the fear and what it's doing to the fabric of who we are as society, as humans,” said Parkhill. “It scares me not just how defensive but how offensive people can be toward others as a first position or reaction and how individualistic, oppressive, destructive that is. I still see how fear plays a huge role in that, and how barring the doors just complicates the scenario. A troubled teen, a helicopter mom and a homeless man become trapped together after police lockdown the neighbourhood. Assumptions are challenged and new relationships made as three complete strangers debate the situation and the potential dangers of the outside world. In this world premiere by New Brunswick playwright Kim Parkhill, Any Given Moment presents a touching, hilarious and unexpected looking into the culture of fear and challenges our expectations of what we think we know.